Sunday, March 13th, we “Spring Forward” one hour for Daylight Savings Time (except for our friends in AZ). 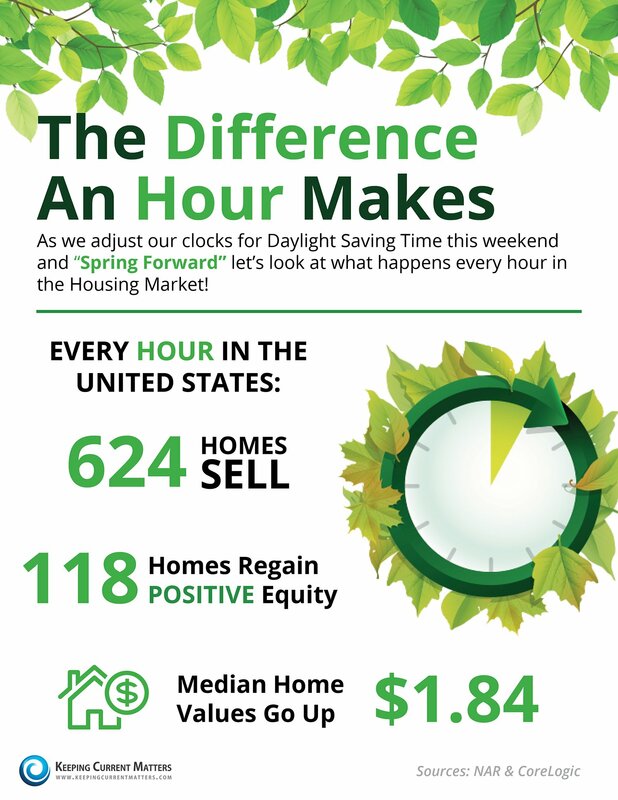 Every hour in the United States, 624 homes will sell and 118 homes will regain positive equity. The median home value will also increase each hour in the United States by $1.84.